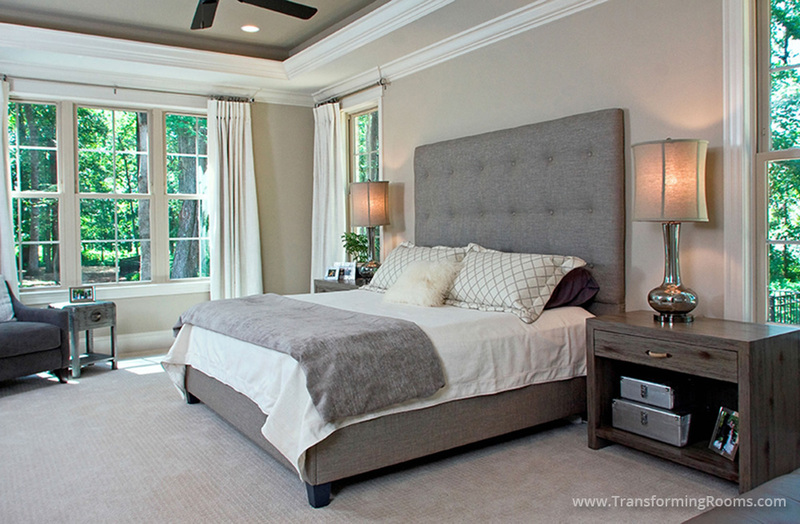 An Oakridge, NC bedroom looks amazing with our upholstered bed, bedroom furniture, and decorating service. We gave this room a fresh new look in under a month! Notice our custom bedding, new night stands and mid-century modern lamps! We are a one stop source, with custom seamstress work and furnishings combined!